Being busy and on the go, I tend to neglect things that at the time I feel aren’t as important, such as health. Nowadays, I spend lesser time on resting or taking care of myself, such as skincare. But, the longer you neglect it, the more it shows. Even when we are not in Ramadhan, my challenge is drinking lots of water daily, so during Ramadhan it is an even bigger challenge for me. So I have to take care of my skin in other ways. I’m always on the look out for an affordable skincare range, so I received a few recommendations to check out Fair & Lovely (“FAL”). As the number 1 whitening brand in Malaysia,it’s got to be worth a try right? So I gave it a shot. 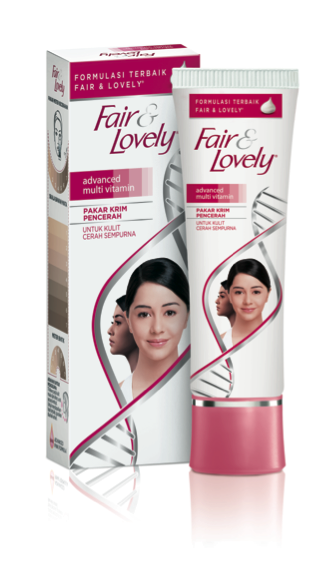 Developed in 1975, Fair & Lovely is dedicated to offering women fair looking skin and it's dermatologically tested. I was also told that it also improved your skin in general so I was keen to check it out. FAL Advanced Multivitamin Cleanser and Moisturiser. Containing Vitamins B3, C and E, the FAL Advanced Multivitamin cream promises to target 5 skin tone problem to give you a fairer and radiant skin. However, my main concern is not so much on being fairer, but to remove dull skin and improve my complexion. Incorporating FAL into my daily routine is quite simple. I just use the FAL Advanced Multivitamin cleanser and then apply FAL Advanced Multivitamin Moisturiser as my moisturizer especially before putting on my makeup. The FAL Moisturizer is also said to reduce dark circles around the eyes. These things really creep up on you unexpectedly, so although I have been blessed not to have visible dark circles, it helps to incorporate a regime to keep it at bay. It’s good to take proactive steps to prevent things before they come. So I’ll give this a try and see how it goes. If you are looking for affordable whitening skincare and want to check FAL out, check out their facebook at https://ms-my.facebook.com/fairandlovelymalaysia. They are also running a contest called Ceria Berseri Aidilfitri, so make sure you enter if you want to win attractive prizes! Are any of you guys using FAL and have any experiences to share? Do drop a comment okay? Lastly, check out Fair & Lovely Ramadhan video and see how FAL gives you instant fairness during Raya !